The Margin plugin let's you set a margin to the product price (for example) and imports the new price according to the value set. From Components -> CSVI pro ->Templates tab -> Rules, Click New to add a new rule for margin plugin. For example to create a rule to set 20% margin for product_price field of a virtuemart product. Give a Descriptive name for the rule in name field. 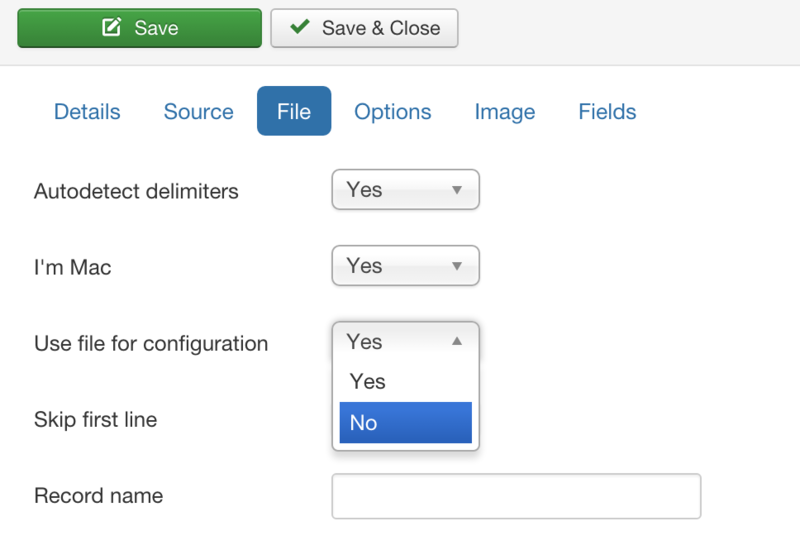 Select Plugin as CSVI margin. Click on load plugin button. Value type field to select how the margin is calculated either percentage or value. Margin field to set how much percentage or value to be added, For example here its 20. Operation type used to calculate the margin. Here is an example on how to create a rule using margin plugin for a product_price field in virtuemart. When the fields are set with rules you can see a small fire icon next to the field name in Template fields tab. Make sure that product_price (example used in this template) are added in template fields list. Use file for configuration option in templates->template name->file tab set to No. Now that all rules and fields are set, CSVI will automatically calculate the product_price according to the new margin set. Say here for an example the product_price in CSV file has been given as 100. While import CSVI will calculate the price and show as below.